MQTT is a versatile IoT communication protocol. Here, we see how to use it to communicate between a Raspberry Pi and an Arduino. These days, I’m playing with IoT. Today I want to use the MQTT protocol to communicate between different devices. First, I’ve started an MQTT broker in my Laptop. For testing, I’ll use Mosquitto Server. In production, we can use RabbitMQ or even a third-party server such as iot.eclipse.org or even Amazon’s IoT service. The idea is to emit one value with one device and listen to this value with the rest of the devices and perform one action depending on that value. 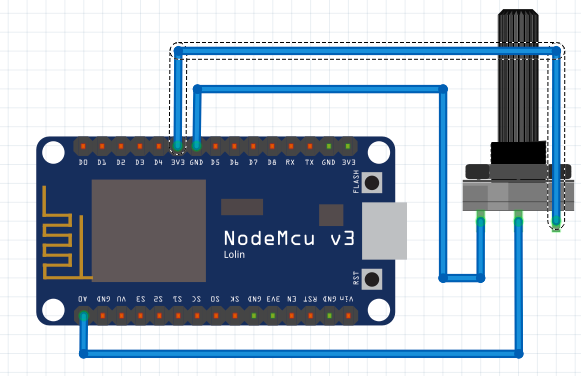 For example, I will use one potentiometer connected to one NodeMcu microcontroller. Now we will use another Arduino (with an ethernet shield). We’ll move one servomotor depending on the NodeMcu’s potentiometer value. 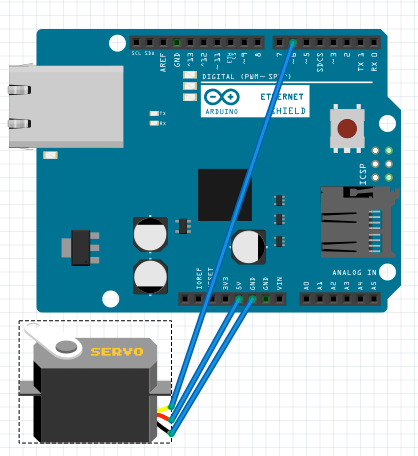 This Arduino only needs to listen to the MQTT’s topic and move the servo.